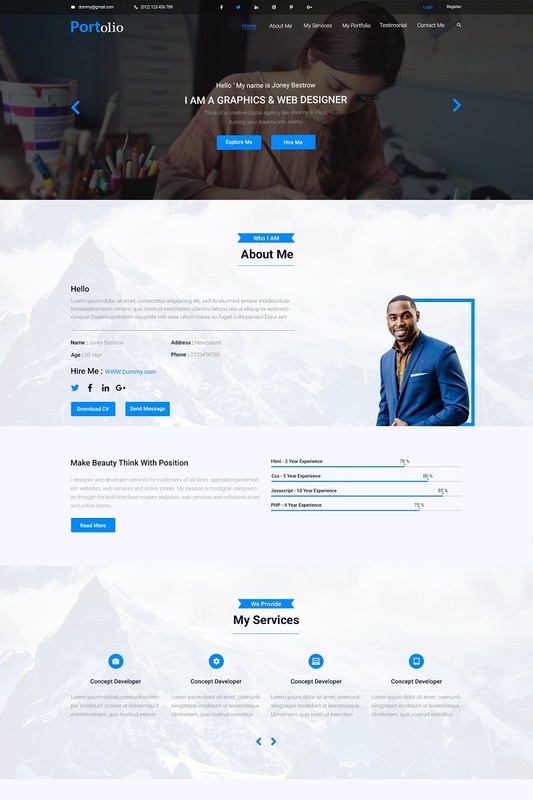 Portolio, portfolio single page PSD Template with 4 PSDs included with blog and blog single page.PSD files are well organized and named accordingly so it's very easy to customize and update. We have included the best practice of web development â€“ you can create great website layout based on Twitter Bootstrap or Grid 1170px. Please rate this item, Iâ€™ll appreciate it very much!....Thank you.